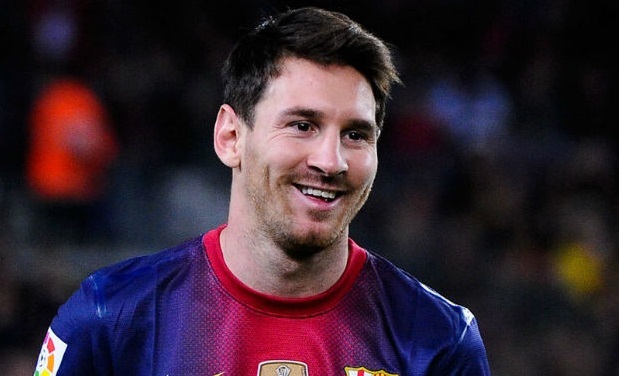 Argentinean professional football player, Lionel Messi, holds a preeminent position in the world of sports. He is considered a legend among his contemporaries for his outstanding performances that permeates his entire career. He plays for the national team of Argentina and Spanish club Barcelona. Playing for Barcelona he has won four UEFA Champions League titles. His prolific goal scoring streak earned him a rank among top-tier soccer players across the globe. He owns five FIFA Ballons d’Or titles among other prestigious accolades. On 24 June 1987, in Rosario, Argentina, Lionel Andrés Messi was born to Italian father, Jorge Messi and Celia Cuccittini of Spanish descent. His father was a manager in a steel factory, while his mother worked in a workshop that manufactured magnets. Being raised in a soccer-loving family, Messi’s inclination toward football was natural early in his childhood. At the age of four his father had him join a local club Grandoli and then the Rosario club, Newell’s Old Boys, when he turned six. He continued to amaze crowd with his performances until 1997 when he was diagnosed with a growth hormone deficiency, which could have impeded his progress. His father’s insurance could only cover his treatment expenditure for two years. As Newell withdrew from his promise to pay for his treatment, Messi’s family moved to Spain where he was inducted in Barcelona club, which covered all of his treatment expenses. In 2002, Messi was enrolled in the Royal Spanish Football Federation. Upon completion of his treatment, he joined Barcelona’s best youth team. He scored 36 goals in 30 games, becoming the top goal scorer of the season. He suffered a broken cheekbone during a game which didn’t hinder him from playing. He received an offer by a foreign club Arsenal to join them but he remained with Barcelona. The following years, Messi progressed rapidly. He debuted for five teams in a single campaign. Impressed by his performance, Ronaldinho befriended him and referred to him as his little brother. He saw potential in him, and he come to realize that it could prove Messi being a better player than him. In 2005, turning eighteen, Messi signed his first contract as a senior player for the next five years. It increased his buyout clause by 150 million Euro. He performed splendidly in the following months which got attention of several clubs who made lucrative buyout offers. However, he remained with Barcelona which extended his contract till 2014. The legal issues regarding his legal association with the Spanish Football Federation, Messi couldn’t play the La Liga. However, things worked in his favour as soon as he acquired Spanish citizenship. He was declared eligible for playing in La Liga. He proved his mettle playing against elite teams like Real Madrid and Chelsea securing victory. As Messi’s performance graph climbed, Barcelona’s rank dropped. Messi is worshipped as an idol by the culés, the club’s supporters. He received several major injuries throughout the seasons yet he kept braving the odds. He is often compared to Diego Maradona as he imitated several of his goal styles like when he scored a goal at Copa del Rey semi-final which was known as Maradona’s Goal of the Century.